The folks over at SpaceLab9 have a pretty fantastic new release coming out on November 25 and we are going to give you a chance to win one of two copies. 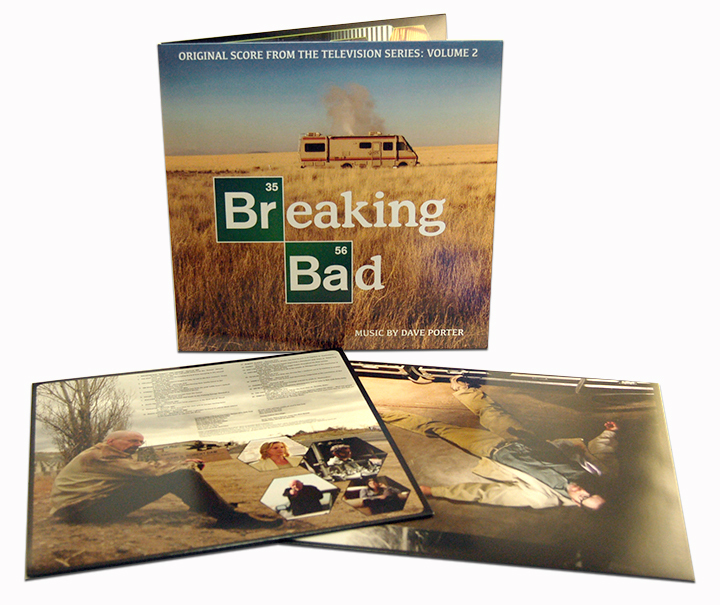 Up for grabs is the uber-limited: “Breaking Bad: Original Television Score Vol.2 Double LP Cash Money Green Vinyl Variant.” Limited to only 500 copies, this vinyl will be a must have for fans of the hit television series. 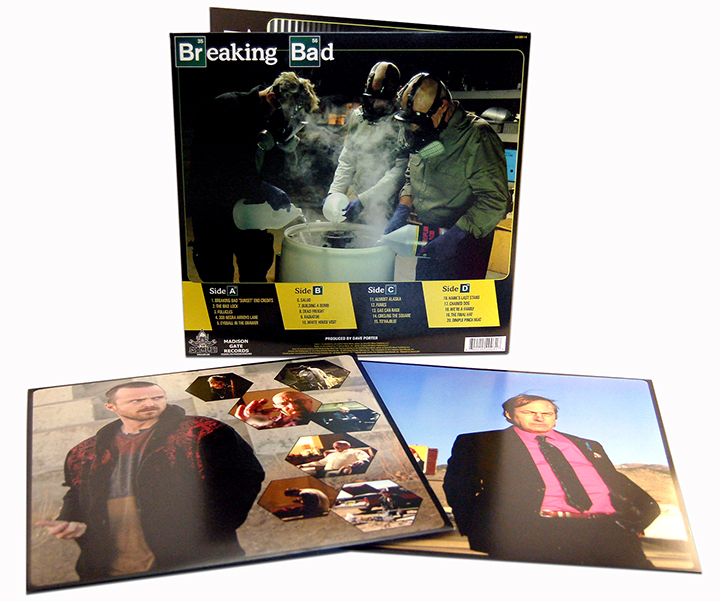 Here is how they describe this release over on their website: The “BREAKING BAD (Original Score From The Television Series) Volume 2” double LP, featuring selections from across the series with a focus on the fifth and final season, will be available at fine retailers throughout North America on November 25, 2014, and in the U.K. and Europe on December 5, 2014. Previously released as a limited edition double picture disc LP, SpaceLab9 will be giving this second half of the complete Breaking Bad score by composer Dave Porter the deluxe double LP vinyl treatment. 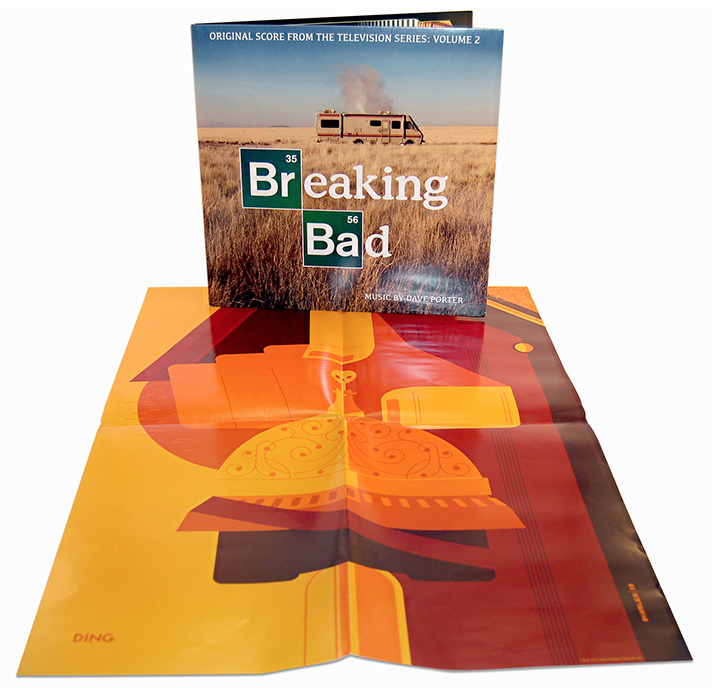 The “BREAKING BAD (Original Score From The Television Series) Volume 2” Deluxe Double LP package includes a full color gatefold jacket, two full color heavy stock inner bags and an 18” x 24” full color poster featuring exclusive variant art by artist Tom Whalen. 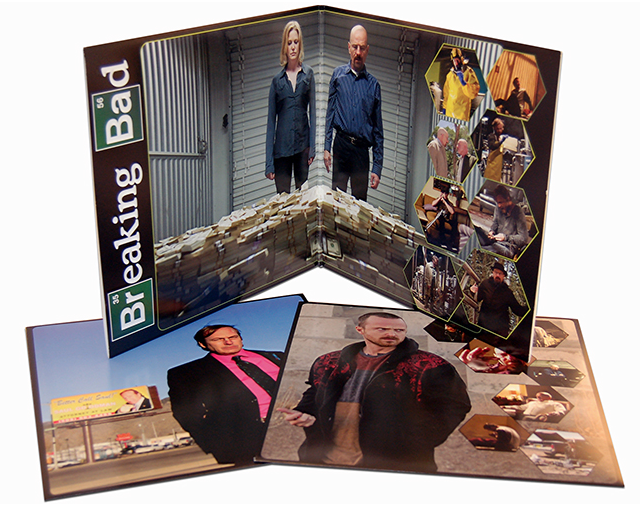 The deluxe Double LP packaging features copious images from the epic series, right up to the unforgettable final scene of the final episode. 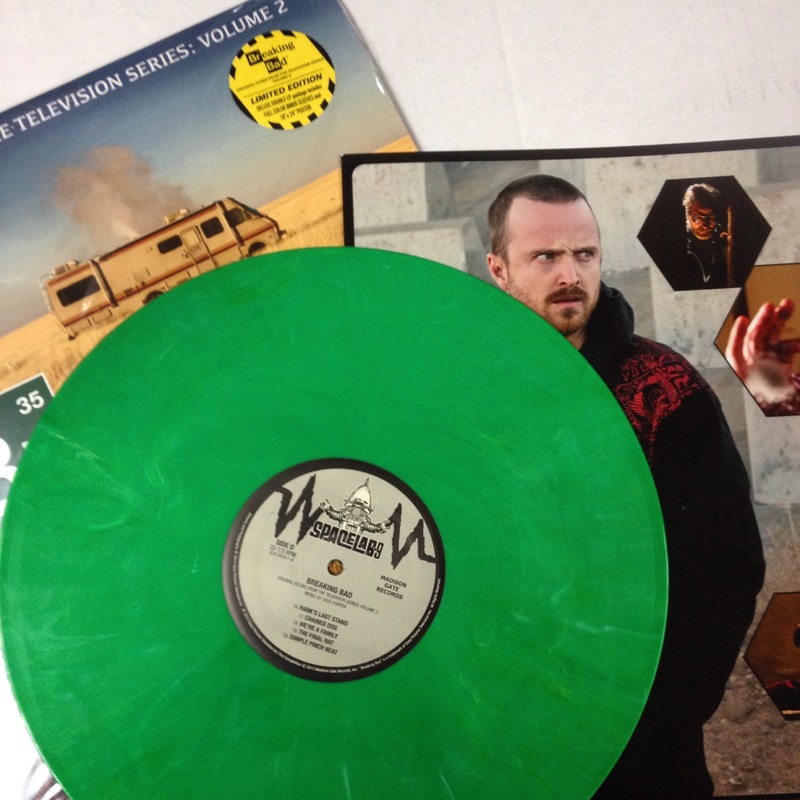 Record collectors and vinyl hounds will rejoice as “BREAKING BAD (Original Score From The Television Series) Volume 2” will be made available in two limited edition variants, “HAZMAT Yellow” vinyl and “CASH MONEY Green” vinyl. Both limited edition colored vinyl variants will be available while supplies last exclusively at SPACELAB9.COM. As mentioned we will be giving away TWO copies of the Green vinyl edition and entering is VERY easy. Simply follow BLURPPY on TWITTER and RETWEET this article. By doing these two things you are automatically entered in the contest. A winner will be chosen at random this Friday on November 21st. (We will direct message the winners on TWITTER at 12 noon PST.) After we contact you, SPACELAB9 will mail you your highly desirable collectible vinyl! 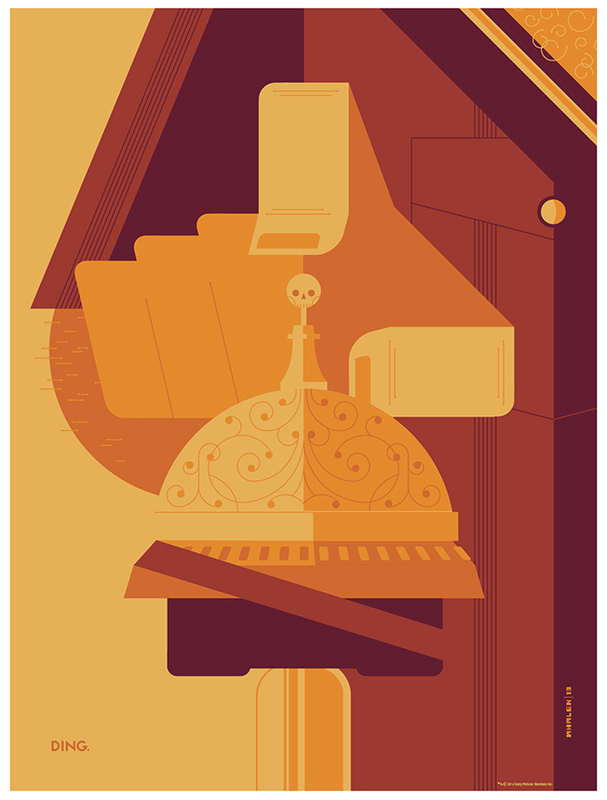 This entry was posted in Art, Collectible, Contest, Music, Posters, TV and tagged Breaking Bad, Cash Money edition, contest, Dave Porter, giveaway, green vinyl, Limited Edition Poster, limited edition vinyl, original score, SpaceLab9, Tom Whalen. Bookmark the permalink.